We love these photos of Ralf from The Barn in Berlin with Hanka, manager of Joe's specialty coffee shop on Montague Street and Leeson Street in Dublin 2. They were taken at our recent coffee cupping here in Dublin . . .
Folks, our latest batch of specialty coffee beans have arrived in from The Barn in Berlin. Some really special filters and espressos. You’ll find them all in our specialty coffee shops on Leeson Street and Montague Street in Dublin 2. 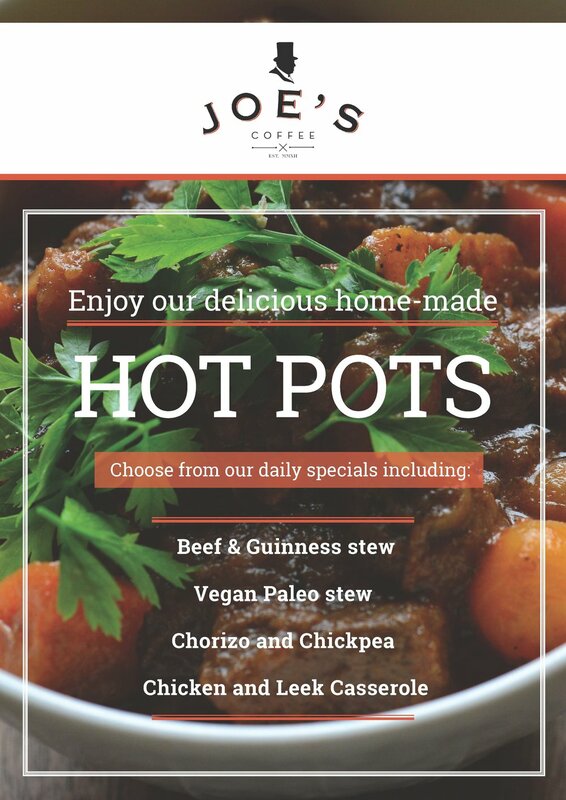 They are also now in our cafe in Arnotts on Liffey Street in Dublin 1, as well as our specialty coffee shop and restaurant in Harvey Nichols in the Dundrum Town Centre. 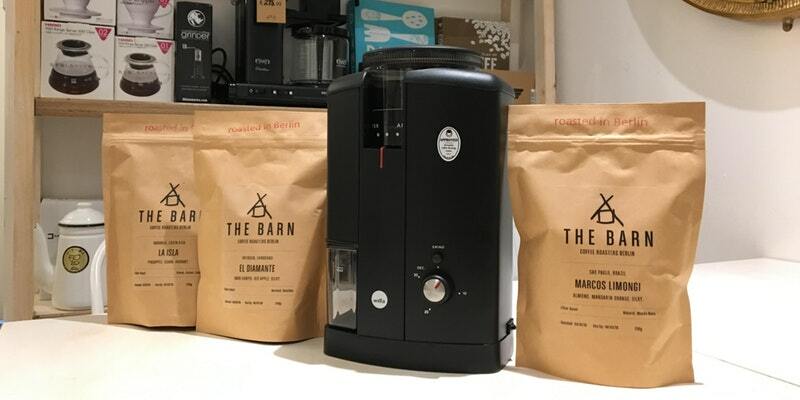 Pop in and pick up a bag of beans and/or grab a specialty coffee made by one of our baristas, all of whom have also received extra training from Ralf Ruller and his team in the Barn. COFFEE KIT SALE NOW ON!!! Folks, we are having a massive coffee kit clearance sale in our Montague Street shop: 20% off all brewing and grinding equipment!!! We have products from Chemex, Aeropress, Wilfa and more . . . Hot, tasty and healthy! As you know we have some new really tasty banh mi baguettes in our Montague Street specialty coffee shop, just off Harcourt Street in Dublin 2. There’s a chicken one and a vegan one. Really gorgeous and the perfect lunch!!! They are perfect in this weather when you need lunch or a welcome refuelling while Christmas shopping in Dublin city centre. Our latest guest roaster is Drop Coffee out of Stockholm. We have had their beans before a couple of times and they are always superb. 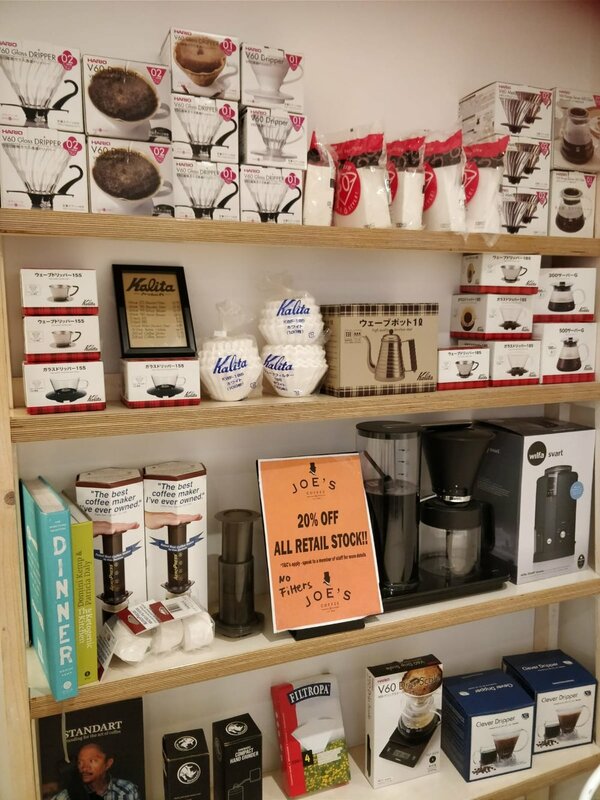 As part of the Arnotts Department Store 175th birthday celebrations, we're organising a special bean and coffee equipment sale for our coffee shop at the Liffey Street entrance on Thursday, May 10th. We'll have discounts of up to 30% on brewers, grinders and other equipment as well on our specialty coffee beans. The sale is on from 5pm until 8.30pm and all are welcome! We are delighted to announce that Joe’s Coffee Dublin is now running barista and brewer courses. 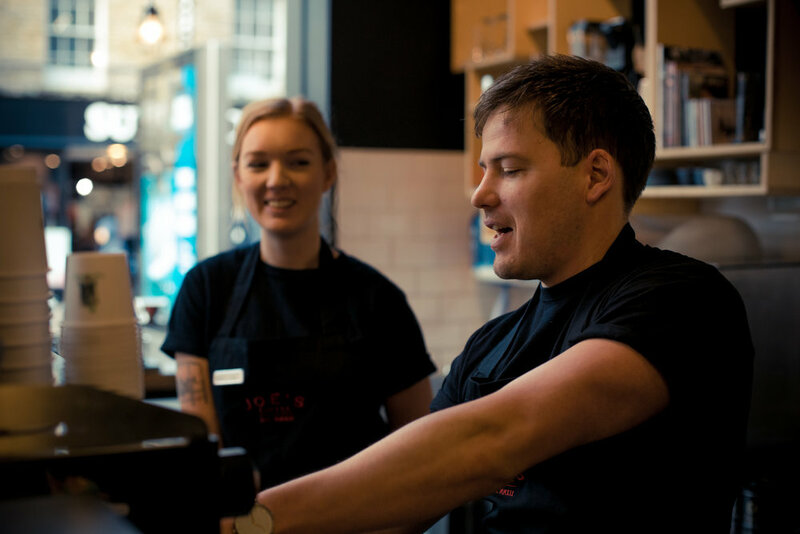 We have built up a lot of passion about specialty coffee over the years and Joe’s manager Máté has turned that into a skill and become a qualified instructor. Our first course start this month with full details and links below. Full-day course covering the basics of coffee, use of espresso machine and grinders, espresso-based beverages and milk texturing. Full-day course covering the basics of coffee, coffee origins and processing methods, different brewing methods. We are hosting a very special coffee brewing workshop on the 22nd of February from 6pm in our specialty coffee shop in Harvey Nichols in Dundrum Town Centre. 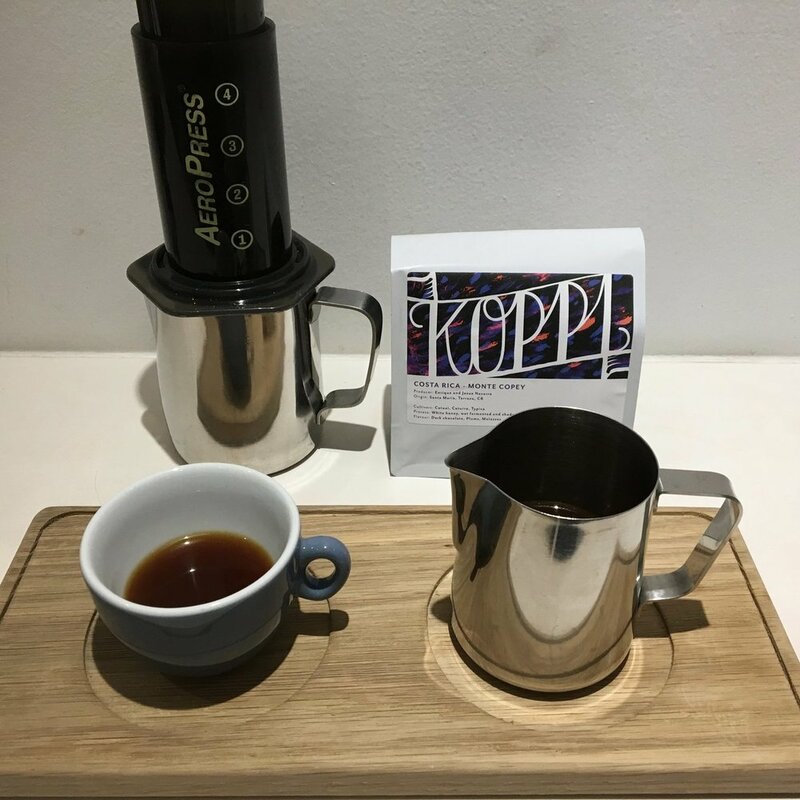 This workshop will showcase the wonderful new Wilfa grinder and brewer and will be a great opportunity for enthusiastic home brewers to improve their coffee knowledge and bring their brewing skills to the next level. The event will include a talk about specialty coffee and home brewing, tasting a variety of coffees, demonstration of the use of grinders and home brewing equipment and a quiz. The winner of the quiz will take home a brand new Wilfa grinder worth €125. Snacks and refreshments will also be available during the event.